HACCP is recognized as the single most effective way to eliminate, reduce or control physical, chemical and biological hazards in any food handling or processing operation. As FSIS/USDA notices increase and regulations become more stringent, our international HACCP services will help you stay in compliance. 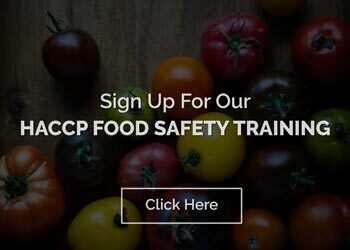 HACCP training and HACCP plans are developed in accordance with the National Advisory Committee on Microbiological Criteria for Foods (NACMCF). 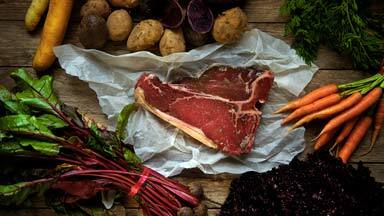 Chartered by USDA (Food Safety and Inspection Service), Department of Health and Human Services (U.S. Food and Drug Administration and the Centers for disease Control and Prevention) the Department of Commerce (National Marine Fisheries Service) and the Department of Defense (Office of the Army Surgeon General). 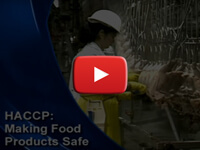 Produced by Alberta Agriculture and Rural Development, these are some of the best training videos we've found that will give you a good, concise overview of the HACCP process. Alliance Analytical Laboratories is a HACCP food safety training laboratory with national and international capabilities. Contact us today to request a quote or call us directly at (616) 837-7670.